In the night of a murmuring desert, a journalist faces a dark truth in the corridor of a parked bus. The eternally smiling driver, hides behind his toothless brother. The police officer called to investigate, is not a policeman. When La Rumorosa Calla, is an experimental narrative film short loosely based on the play, El lobizón de tras la la sierra, by Gilda Bona (Argentina, 2011). When La Rumorosa Calla, tells the story of Lucía Octavio, a journalist on the way to investigate a series of femicides in a town located on the border between the United States and Mexico, and where she wakes up naked at the end of a night bus trip. With an intricate dialogue and the nakedness of her body, Lucia confronts the men and discovers a plot between the bus driver, the man who assaulted her and the policeman called to investigate. An open ending offers the possibility that Lucia escaped or succumbed to the imminent attack that ensues. When La Rumorosa Calla addresses the struggle for humanity, dignity and life people who, involved in an unequal confrontation with more powerful and corrupt forces, choose a heart-wrenching fight with their bodies, their words and their stories. The film is inspired by experimental feminist films of Yvonne Rainer, Barbara Hammer, Chris Strand and Ana Mendieta who celebrated the naked body of women, not for the pleasure of men, but to retake it, dismantle taboos, and express directly the pain and wounds caused by patriarchy and male supremacy. When La Rumorosa Calla is created within the framework of social justice movements and inspired by contemporary acts of resistance and feminists such as Ni Una Menos, in Mexico, Ni Una Mas, in Argentina, #MeToo and Black Lives Matter, in the United States, in which, activists confront, with their half-naked bodies and declarations screaming against sexual abuse, assault, violence and hate crimes, patriarchy and machista authoritarian systems everywhere. The theme of the short is influenced by the documentary Señorita Extraviada (Lourdes Portillo, USA, 2002), which describes the complicity of the government and the authorities in rapes and chilling murders of women in Ciudad Juárez, Mexico, Las Mujeres del 68, (Rompeviento TV, 2018), which tells the story of the student movement in Mexico in 1968 from the point of view of women who faced patriarchy not only in government but also in the family, and social movements and denunciation of attacks on women in the denunciation movements in Atenco, Mexico in 2006. 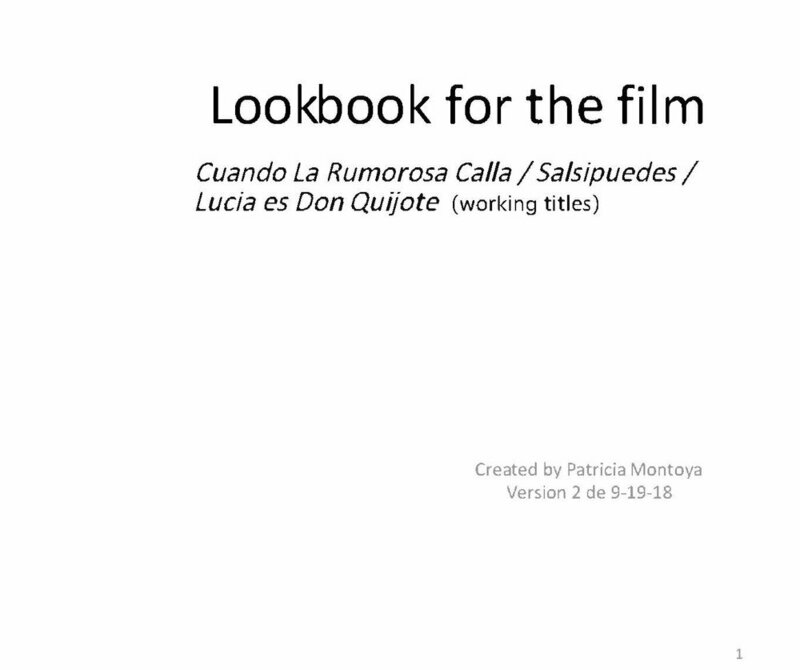 When La Rumorosa Calla is told in an experimental melodrama genre with Film Noir tones. The structure is framed within a bus trip a from dusk to dawn along the route San Felipe-La Rumorosa, Baja California, MX, punctuated by dreamy flashbacks that interrupt the linearity of the present to tell what happens in the Inside the bus on the long night trip. The bus scenario, recreated in the original play as a claustrophobic and minimalist space in Cuando La Rumorosa Calla, becomes a space detached from reality, taken to the surrealism of Luis Buñuel's cinema and his film Subida al Cielo (Mexico, 1952), I maintain in the mise-en-scène, the narrowness, the claustrophobia and the horror of the dark night so cunningly represented by Gilda Bona in El lobizón de tras la sierra, and that I try to recreate in my own way.